Quo Vadis (1951) is a biblical epic about a Roman army commander who falls in love with a beautiful Christian hostage and begins questioning the despotic rule of Emperor Nero. 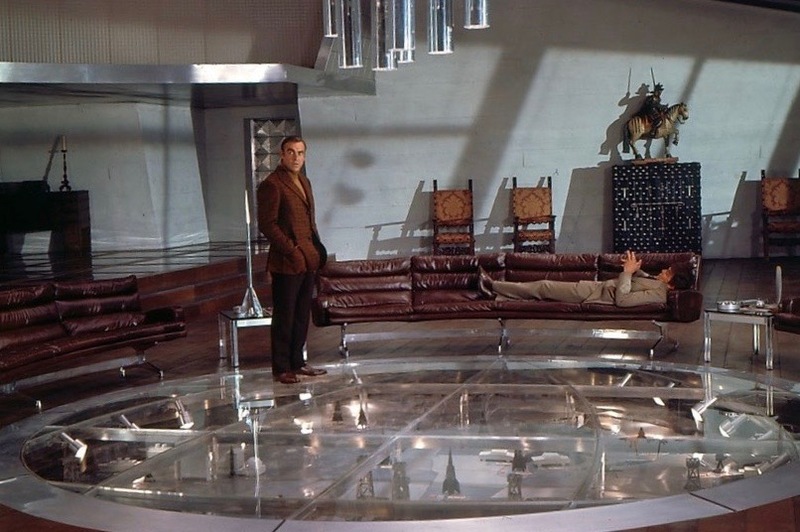 Like all epics of its time, the film features many magnificent sets, some of immense proportions. 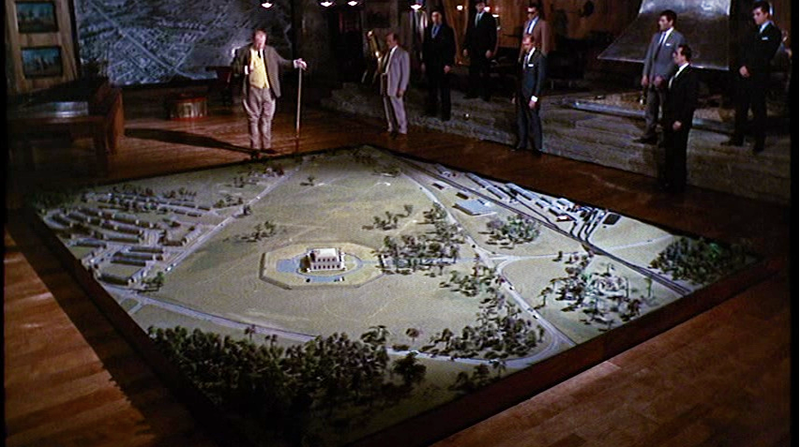 Of considerably smaller proportions is a diorama which appears about an hour and a half into the movie. 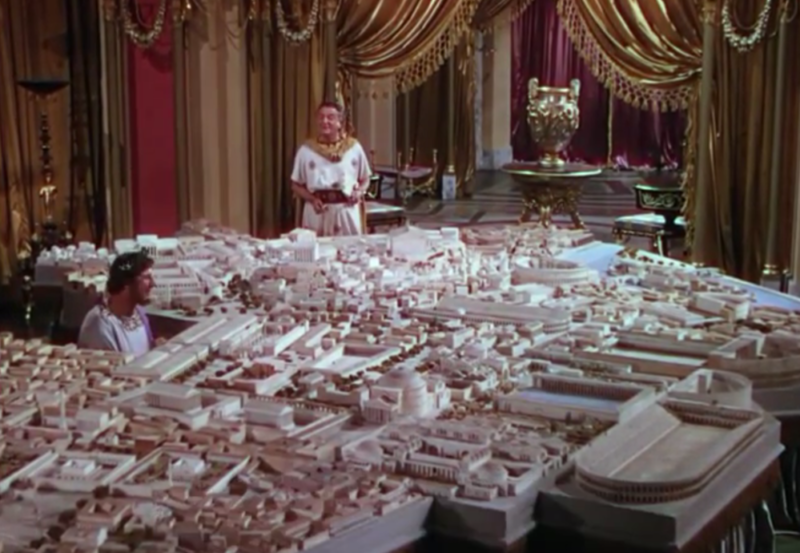 Nero is conversing with his architect, Phaon, and we are introduced to an elaborate miniature of a new Rome envisioned by Nero. Filled with classical architecture, the diorama is made all the more elegant by virtue of being rendered entirely in whites and light pastels. The level of detail is impressive. From a storytelling perspective, the diorama is central to the film. It symbolizes the egomaniacal fervor of Nero, who sees this new Rome as a tribute to his glory as Emperor. 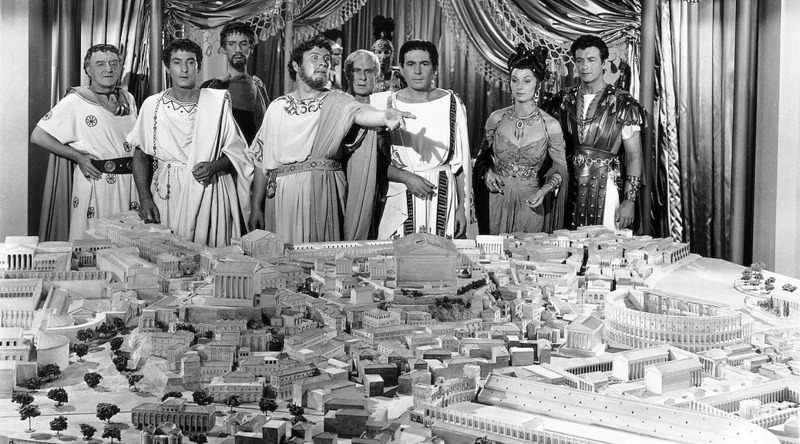 Nero has no interest in what benefits a new city could potentially offer its citizens. Rather, he speaks haughtily of the foul smells which will disappear when the city is built, and he even has a new name for it: Neropolis. The city is an expression of his megalomania. Rather than remaining an elaborate sketch of a distant dream, this diorama portends ominous events which soon come to fruition. In order to build his new city, Nero must first destroy the old one. So he gives the order to burn Rome to the ground. From the safety of his palace, he plays the lyre as the flames rise. Nero’s final touch is to blame the Christians for starting the fire, giving him the excuse he needs to hunt them down. These events propel the film to its climax, which is grandly staged in the tradition of historical films of the period. Although Quo Vadis never achieved the critical acclaim of Ben-Hur or Spartacus, it’s a fine work with a well deserved place in the pantheon of biblical epics. 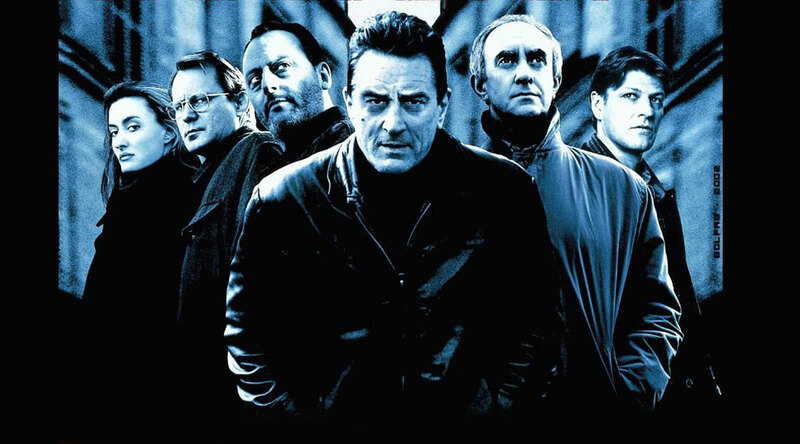 Ronin (1998) is a classic espionage flick featuring exotic European locales and first-rate performances from Robert De Niro and Jean Reno. 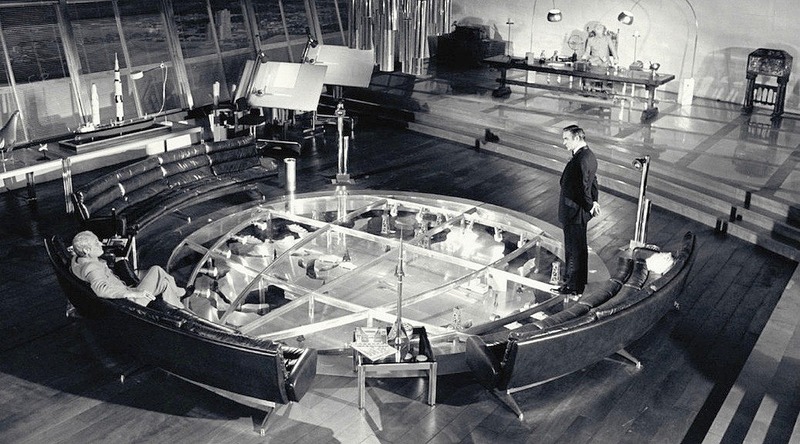 It’s the only film I know of whose title is explained with a diorama. 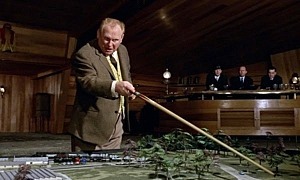 The diorama is not a special effect but an actual “character” in the movie. When Sam (De Niro) is wounded during a mission, Vincent (Reno) takes him to the country mansion of his old acquaintance Jean-Pierre (Michael Lonsdale). After treating Sam’s wound, the kindly Jean-Pierre recounts the tale of the 47 ronin—masterless samurai—of feudal Japan who avenged their master, sacrificing themselves for his honour. We see Jean-Pierre at work in his study, putting the finishing touches on a miniature samurai figure. He then places the figure in a diorama depicting the climactic battle waged by the 47 ronin. The diorama is fairly large and features several beautifully detailed samurai figures engaged in battle. 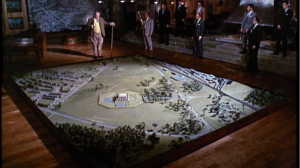 The famous ronin displayed in the diorama are of course paralleled by Sam, Vincent, and the other mercenaries depicted in the film. Sam is portrayed as ex-CIA, and Vincent is presumably a retired agent gone freelance as well, making them both ronin of a sort. Like the ronin of old, they are masterless, but continue to devoutly follow a shared warrior code. Through Sam, we learn some of the strict rules of this code. Whenever asked to reveal vital information, his response is “I don’t remember.” When asked who his contacts are, it’s “We went to high school together.” You get the idea. What makes the film especially satisfying is the camaraderie which develops between Sam and Vincent. 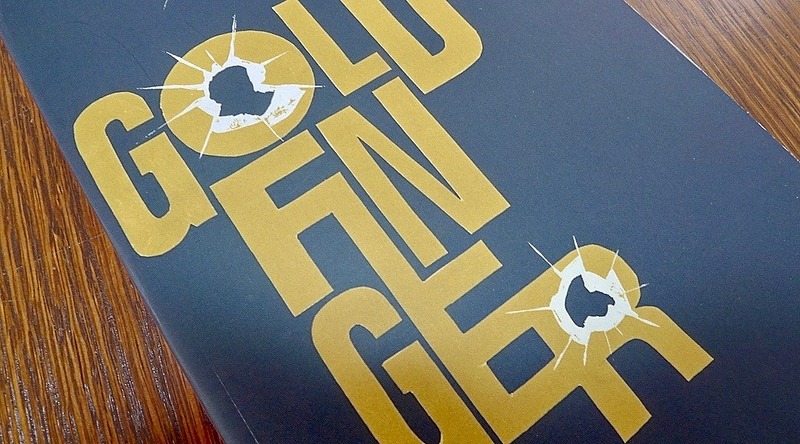 Through their easy banter, we learn about the unspoken discipline which governs their world. In the final scene of the movie, the two men are having a coffee in the same café where the story began, and we hope they’ll stay friends. But the code prohibits it. So when Vincent picks up the tab and Sam says “I’ll get the next one,” we know there won’t be a “next one.” And as Vincent leaves the café and turns up his collar against the cold, we get one last glimpse into the secret code of these modern day ronin.